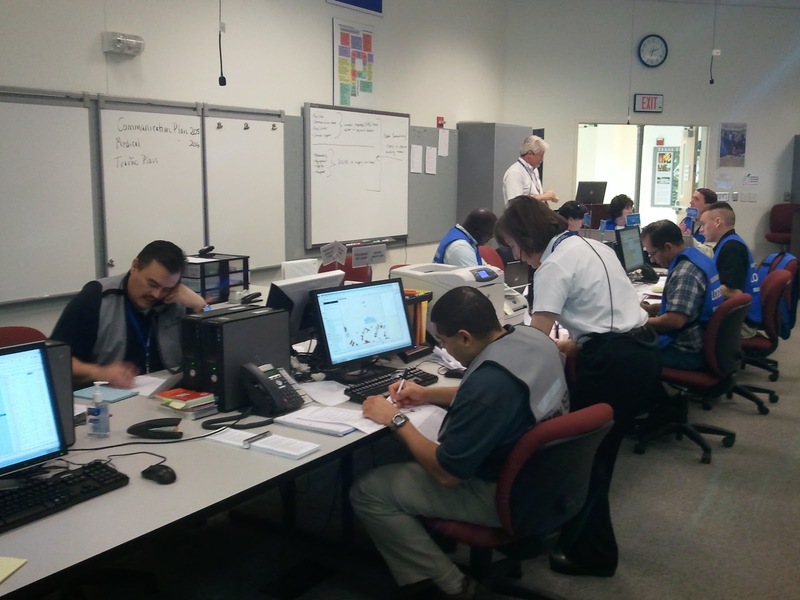 TEEX Blog: TEEX Emergency Management Training: It's worth it! 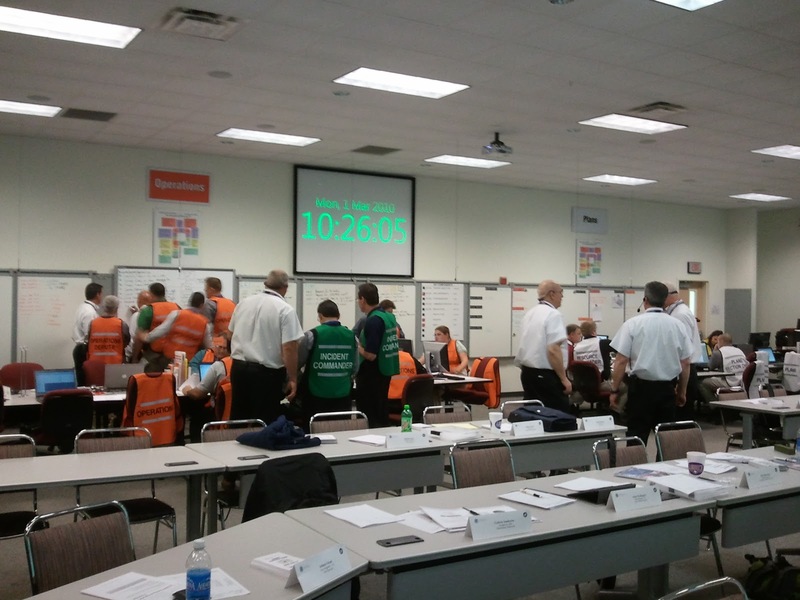 TEEX Emergency Management Training: It's worth it! It might seem like a long way to travel for training, but College Station, Texas, offers an excellent variety of emergency management courses. A few weeks ago, David LaWall and I attended the Enhanced Incident Management/Unified Command course at Texas A&M’s Texas Engineering Extension Service (TEEX) Emergency Operations Training Center. It was an excellent opportunity to test our knowledge of the Incident Command System and become more familiar with the operations of an Incident Command Post. But are the benefits of this course and many others like it worth the cost and time? It is challenging to conduct a cost-benefit analysis of emergency management training. How can one determine if the money and time invested was actually worth it? Gauging the increase of knowledge or ability is almost impossible. While tests can be administered to determine if the presented materials are being remembered, does reciting the “Planning P” steps really equate to an increased ability in incident command? The cost and time justification for me boils down to two factors: experiences and connections. The course at TEEX was primarily composed of half-day exercises, which allowed the participants to rotate through various positions within the Incident Command structure. For instance, a participant may be the Operations Section Chief in the morning exercise and the Situation Unit Leader in the afternoon exercise. 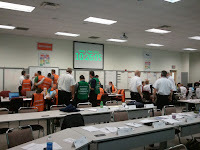 Having a variety of exercises provides the participants with varying experiences, which helps to clarify the Incident Command Post’s planning process. The second justification is connections. TEEX, like many other training facilities, allows the course participants to get to know each other. These connections provide an excellent resource; we grow professionally by expanding our network of associates in diverse fields. That is one of the great benefits of TEEX; the participants are from police, fire, homeland security, public works, public health, airports, nonprofits, and even private companies. There are many options for emergency management training; TEEX should be at the top of the list. Whether coming from police or fire to public works and public health, every participant will walk away having experienced an Incident Command Post multiple times and with new diverse connections. TEEX may be in College Station, Texas, but it is worth the cost and time. For more information, watch our latest video on the Emergency Operations Training Center or visit http://www.teex.org/. This blog was originally published in the UW-Madison Police Department, Emergency Management blog. Our thanks for their permission to post it on our site. This is great. I wish to be there. Thanks for inspiration.